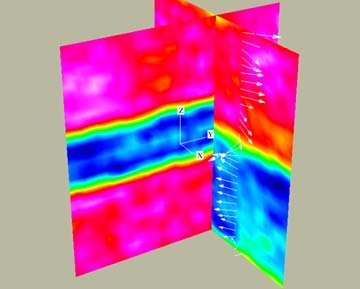 IEEE Xplore, IEEE Transactions on Plasma Science, 18 issue 1 (1990), Special Issue on Plasma Cosmology. G. Arcidiacono, "Plasma physics and big-bang cosmology", Hadronic Journal 18, 306-318 (1995). J. E. Brandenburg, "A model cosmology based on gravity-electromagnetism unification", Astrophysics and Space Science 227, 133-144 (1995). J. Kanipe, "The pillars of cosmology: a short history and assessment". Astrophysics and Space Science 227, 109-118 (1995). O. Klein, "Arguments concerning relativity and cosmology," Science 171 (1971), 339. W. C. Kolb, "How can spirals persist?," Astrophysics and Space Science 227, 175-186 (1995). E. J. Lerner, "On the problem of Big-bang nucleosynthesis", Astrophys. Space Sci. 227, 145-149 (1995). B. E. Meierovich, "Limiting current in general relativity" Gravitation and Cosmology 3, 29-37 (1997). A. L. Peratt, "Plasma and the universe: Large-scale dynamics, filamentation, and radiation", Astrophys. Space Sci. 227, 97-107 (1995). A. L. Peratt, "Plasma cosmology", IEEE T. Plasma Sci. 18, 1-4 (1990). C. M. Snell and A. L. Peratt, "Rotation velocity and neutral hydrogen distribution dependency on magnetic-field strength in spiral galaxies", Astrophys. Space Sci. 227, 167-173 (1995). H. Alfvén, Worlds-antiworlds: antimatter in cosmology, (Freeman, 1966). Alfvén, H. "Cosmogony as an extrapolation of magnetospheric research"
Alfvén, H. "On hierarchical cosmology"
Wright, E. L. "Errors in Lerner's Cosmology". Lerner, E. J. "Dr. Wright is Wrong". Lerner's reply to the above. 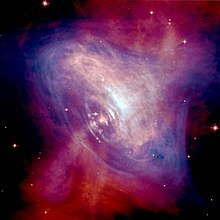 Marmet, Paul, "Big Bang Cosmology Meets an Astronomical Death". 21st Century, Science and Technology,Washington, D.C.
Goodman, J., "The Cosmological Debate". Goodman, J., "The Case for Plasma Cosmology"